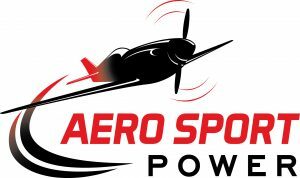 Aero Sport Power specializes in customizing, designing and building high performance experimental aircraft engines to customer specifications. Our vast selection of accessories as well as multi-tone paint schemes and chrome packages allows you to design your Aero Sport Power engine to suit your needs. Additional services available include engine repairs and overhauls, comprehensive inspections, non-destructive testing, cylinder flow matching, camshaft grinding and accessory overhauls. Since 2016, 3:23 Composites has been providing a “NO-Compromise” line of products and services to the experimental aviation community. 3:23 is a company dedicated to the highest standards of quality and integrity, while offering worldwide services tailored to the composite aircraft industry. Catto Propellers is a progressive leader in propeller technology. With more than six world records set in speed, time to climb, altitude and short field takeoff, Catto Propellers offers an array of modern specialized propellers for experimental aircraft. We manufacture a durable structural composite propeller with an optional nickel leading edge. Catto Propellers are a fully encapsulated composite propeller protecting it from all the elements. A laminated wood core is CNC machined for precision and quality control, followed by glass/carbon fiber composite for structural integrity. Lightspeed has become a leader in the realm of wearable technology for pilots by operating with a simple strategy: know your customer well and remain committed to relentless product evolution that expands performance to the edge of technological possibilities. This approach allowed Lightspeed to enter the aviation headset market already the innovation leader and allows us to set the standard for what is possible in the categories in which we compete. It’s also a big part of why Lightspeed enjoys tremendous brand loyalty and is a company respected around the globe for its expertise and integrity. If you’d like more information on sponsorship, please use our contact form.